Barbara Jane Ricca (nee Hazen), 95, passed away peacefully Saturday morning, March 23rd, 2019 at Holly Hill Healthcare Residence in Newbury. 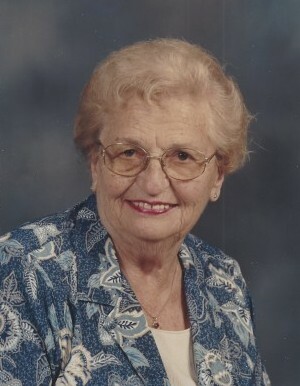 She was born in Munson Twp, OH on July 12th, 1923, to the late Milton and Beatrice (Daigen) Hazen. Barbara is once again reunited with her loving husband, Carl, who died in April 1977. She was a retired Legal Secretary after working 30 plus years for 5 different Prosecutor’s at the Geauga County Prosecutor’s Office. Barbara was the last remaining “original” charter member of The Great Geauga County Fair Band, which formed in 1938. She enjoyed bowling in leagues, doing stained glass, and painting ceramics. She enjoyed playing pinochle, being with her friends and family and her German Shepherd “G” (Ginger). She was a member of the Newbury Volunteer Fire Department’s Lady Auxiliary Flames and an active member of the Newbury United Community Church. Barbara will be greatly missed by: her loving children, Ronald (Lynn) Ricca, Carla (Lyn) Svendsen, Kenneth Ricca; grandchildren, Ronald C. (Christina) Ricca, Nicole Ricca, Ryan Ricca; 3 great-grandchildren; sister, Charline Heiden; nephews, Larry (Sonya) Heiden, Gary Heiden, Perry Heiden; and many friends. She is preceded in death by: her husband, Carl; her parents, sister-in-law’s, Lola Ricca, Sara Ricca, Janet McNish; and brother-in-law, Robert Heiden. The family would like to express our extreme gratitude to the staff of Holly Hill for their love, compassion and care they gave to our mother. A MEMORIAL SERVICE WILL BE HELD AT 10:00 A.M, THURSDAY, MARCH 28TH AT NEWBURY UNITED COMMUNITY CHURCH, 14916 AUBURN RD., NEWBURY, OH 44065 with Pastor Bob Richardson officiating. A private interment will be held at a later date. In lieu of flowers, please make donations to The Great Geauga County Fair Band, 14373 N. Cheshire St., Burton, OH 44021, 440-834-1846; Newbury United Community Church, or the Newbury Volunteer Fire Department, P.O. Box 255, Newbury, OH 44065.